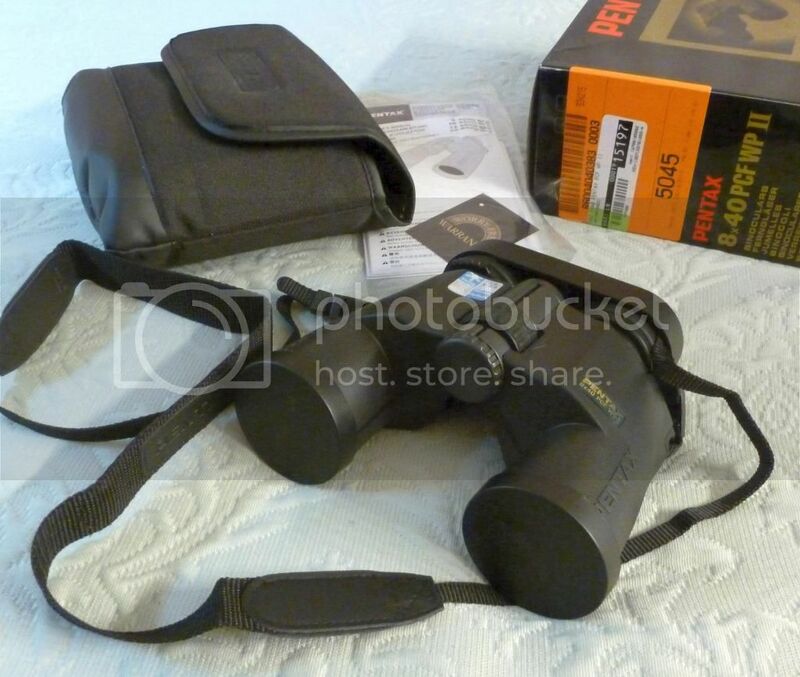 I really like my new Pentax 8 x 40 PCF WP II binoculars! Mine are Refurbished, from Ebay. (The vendor had them marked down to $49.98). I wanted 8X, because I can't hold higher magnification binos very steady. These aren't light weight (being water proof and ruggedly made). I wanted these, because my old 7x Nikon binos have a short eye-relief, making them useless when wearing eyeglasses. These are great with glasses and work well for my astronomy needs. (finding alinement stars). I've been plane watching a little and these are pretty good. Bird watchers gave them a good rating too.